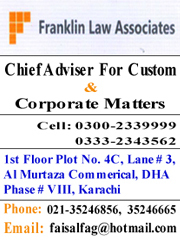 KARACHI: Several shipping companies and a container terminal have approached Sindh High Court against the blackmailing by a cartel of toy importers, and Customs officials pressurizing the terminal operator to exempt the importers convicted of fraud from demurrage and detention charges. A group of consignees imported toys and attempted to evade custom import duties by misdeclaration of the goods. Customs caught and held their consignment, and by detailed investigation, importers were penalized and forced to pay additional duties as per tariff. However, the importers M/s One Ten World and M/s Xing Enterprises approached Court and secured order of provisional release of their consignments, because the Customs did not oppose the provisional release. 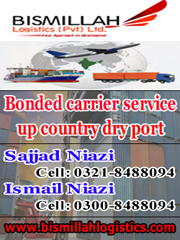 Pakistan customs held their consignments, penalized them for evasion of government revenue in shape of import duty. During all this process, these containers stuck with PICT for months incurred heavy detention and demurrage. Now these importers are trying to defame the shipping lines to pressurize them for exemption of detention and demurrage. Despite the fact, Customs Adjudication found them guilty and penalized them, the Customs Appraisement East issued the accused importers Delay & Detention certificates. Now, MCC Preventive has also issued them Delay & Detention Certificates despite the fact there has been no delay on part of Customs. 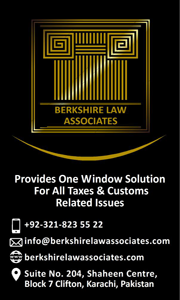 Sources said the top most Customs officer in Islamabad was patronizing these unscrupulous importers and pressurizing the field officials and officers to ‘cooperate’ with these toy importers who have been convicted of fraud. It may be mentioned here, customs also opened an enquiry against these importers who in addition to evasion of duties also tried to malign custom officers again pressuring them for cooperation. 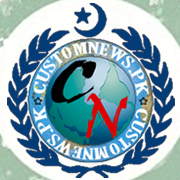 An official told Customnews.pk that National Accountability Bureau had approached them seeking details of the scam and revenue involved. 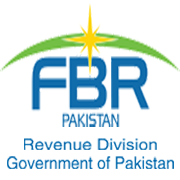 It may be mentioned here that Additional Collector Adjudication Dr. Sadia Sadaf had penalized this cartel of toy importers for concealing the actual description of the goods to take an attempt for getting the goods assessed on suppressed values for evading government’s legitimate revenue. As many as four order-in-original (ONOs) have been served on M/s Xing Enterprises and cumulative fine/penalty of Rs5.04 million has been imposed on M/s Zing Enterprises. Similarly, three ONOs have been served on M/s One Ten World and a cumulative fine/penalty of Rs3.79 million is imposed on M/s One Ten World. Tagged approach, Customs, customs duty, demurrage, fraud, high court, Importers plastic toys, M/s One Ten World, M/s Xing Enterprises, regulatory duty, Shipping companies, toy importers.